You couldn’t make this up. Barnet Council already facing trouble for illegally filming residents and bloggers coming to hear a council meeting on cuts, is now seeking to censor and criminalize bloggers across the nation. The council has put in the most ludicrous complaint against a local blogger, Mr Mustard ( real name Derek Dishman) to the Information Commissioner claiming he has committed a criminal offence under the Data Protection Act by not registering as a data controller because he has made critical comments about whether some of its officials have real jobs. Now look at what Barnet Council did. On the day the Mr Mustard’s blog appeared they complained to the Information Commissioner seeking he had broken the law – and could face a £5000 fine- because he had ” processed personal data unfairly” and had no protection under the Data Protection Act. Initially rebuffed the council then came up with an extraordinary description of what Mr Dishman was allowed to blog without being forced to register or be prosecuted for unfairly processing data. According to Barnet the only things bloggers can write about is their own personal data, their own family defined as people related by blood or marriage and their own household, anybody living in their house or flat. Everything else requires registration and can be subject to legal challenge. The council even found an obscure Swedish case, involving a European Court judgement, against a member of the Swedish church who released details of a number of local people waiting to be confirmed as why this must be done. Thank God for some sanity. But what Barnet was really up to – to suppress freedom of expression, local comment and intimidate someone who was using his right to ask them difficult Freedom of Information requests. By threatening to criminalize someone who in the ICO’s words writes a blog as a hobby, the authority is out-of-order. If Barnet had succeeded it would have had enormous implications and costs for bloggers across the country. As Conservatives who are committed to transparency, the council should know better. They need to put up and shut up! Barnet did not answer my questions about this. But I did contact both bloggers. He said he had no quarral with Jonathan Tunde-Wright or any of the officials named on his website. Mr Tunde-Wright seems a bit bemused. “Speaking as a private individual it has felt like being caught in a crossfire somewhat. ” I think it is ironic that people like myself (and there are many of us in the public sector) who are truly passionate about public service and community empowerment appear to have been the targets of certain bloggers – talk of picking the wrong targets! “The council was concerned that an individual had used information gathered by the FOI process and linked this with other information to ridicule and abuse individual members of staff. The council consulted with the ICO as to whether this constituted a possible breach of the Data Protection Act. The ICO asked the council to make a formal submission, stating this was a currently a grey area. This entry was posted in media, town hall and tagged barnet council, Conservatives, criminalised bloggers, freedom of information. Bookmark the permalink. The reference to an officers’ blogs or websites is a smokescreen, and a distraction from the real purpose of the complaint, which was submitted by the council, not any individual. That purpose was to attempt to silence the Barnet bloggers, and to stifle criticism of the current Tory administration, both in terms of the political leadership and the senior management team. 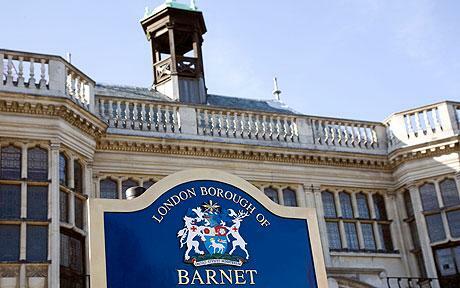 In any case, any senior officer of a local authority – and there are more than one in Barnet – should not be publicly commenting on political or religious matters in relation to their work. At the time of the complaint to the ICO, Barnet bloggers had caused severe embarrassment to the council by exposing the MetPro scandal: it was also about to launch a one billion pound outsourcing of council services to the private sector: it is clear that the real motive for the complaint is not entirely unconnected to the political damage caused then and now by the intense scrutiny to which the authority has been subjected. English translation would be helpful for readers! translate.google.com is your friend, though not perfect. The ‘reply’ , like some of the others looks like it’s an (automatic?) linkback and not one left by the Welsh blogger. Do you want all blogs worlwide translated just for you? The Swedish case is far from obscure (the UK was involved in it) and it does imply that web publication drags bloggers into the ambit of the DPA. However, while this could mean that people who blog using personal data might have to pay the £35 notification, they would be exempt from most other parts of the act because of the very wide journalism exemption that I have no doubt that the Barnett bloggers could rely on. The Act doesn’t require a blogger to prove that they are a journalist – just that they are using data for journalistic purposes. If the ICO chooses to patronise bloggers as hobbyists, that’s a wrong decision, but saves bloggers £35 a year. I see you are an expert on FOI and data protection with 10 years experience including working for the Information commissioner. I bow to your judgement that the Swedish case is not as obscure as I thought. But surely to insist on registering millions of bloggers for data protection just because they want to comment about other people is the wrong decision unl;ess we want a huge bureaucracy checking up on any blogger? a salary of £50,000 a year. In Canada and the USA, public sector jobs and salaries are public knowledge.